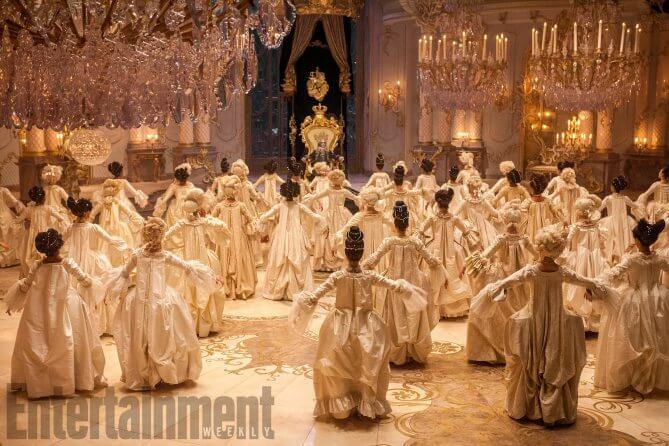 It isn’t the focus of the upcoming “Beauty and the Beast,” and yet the grand ballroom plays a significant part in pushing along the story of Beast’s enchanted castle. A few photos from the set give us a look at the progression of the room as it transforms from colorful and bustling to icy and forgotten. 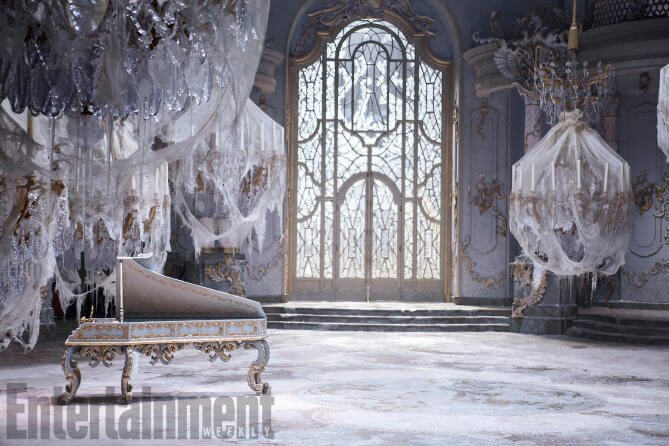 After the castle falls under the curse, the great room is abandoned. It takes on an icy appearance to reflect the feeling of coldness and isolation. Latex pieces with a frosted glaze were laid across the floor and hardened resins shaped into icicles were placed throughout the room to create this look. This is mirrored throughout the entire castle as well as this final picture of the Grand Staircase shows. 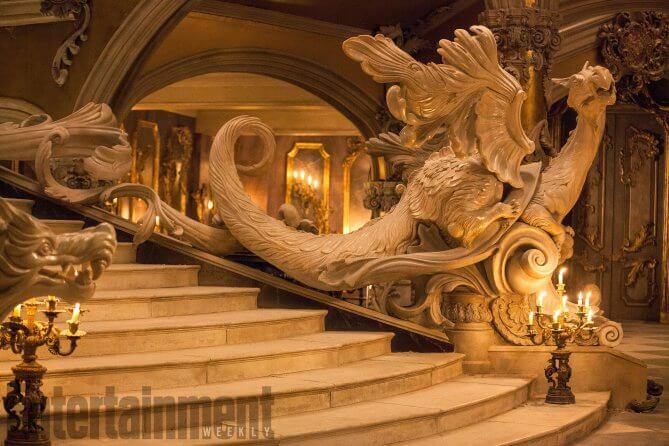 The workmanship involved in “Beauty and the Beast’s” set design is absolutely incredible. We eagerly await being able to feast our eyes on the entire castle in all its glory on the big screen. 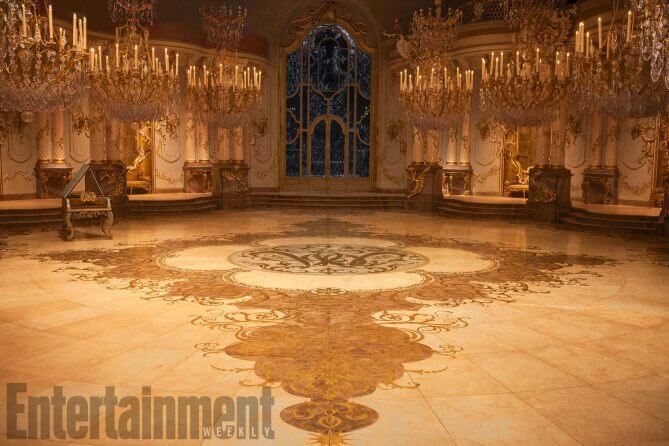 “Beauty and the Beast” is scheduled to open in theaters March 17, 2017.